Great partnership b/w Bopara and Malik. This could be the match wining partnership. OUT! R Bopara (40) c A Shehzad b A Ali. Karachi Kings: 138/5 (19.2 ov). Quetta gladiators ka song Baluchi main Kyoon nahi hai? ???? 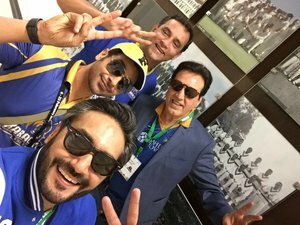 Karachi kings thankyou so much for an entertaining and competitive total. #PSLT20 اگر کوئٹہ میں ہورہا ہوتا تو وہ کرکٹ کی اصل جیت ہوتی !